It might be a banal cliché, but it’s always better to be safe than sorry. Statistics from the National Highway Safety Administration (NHSTA) found that an estimated 10,076 people were killed in drunk driving accidents in 2013. To put that in perspective, total traffic deaths for that year was 32,719, which means drunk driving contributed to over 1/3 of the total traffic fatalities in 2013. And even taking the inherent danger of driving drunk out of the equation, over 1 million people are arrested annually for driving under the influence. There’s just no way to spin it; it’s a bad idea. Alcohol is—undoubtedly—one of the easiest substances to procure, it’s served virtually everywhere, and there’s absolutely nothing wrong with unwinding with few drinks—it’s a social normality that millions of people take part in. 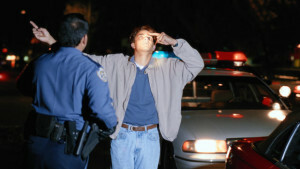 But when operating a vehicle after a few drinks enters the fray, things change dramatically. A good time can turn on a dime and slide directly into tragedy. Let one of our chauffeur’s pick you up after your night out and grant yourself the peace of mind a worry-free night provides. It’s an easy way to avoid these tragic situations completely and keep everyone on the road safer. We should all do our part to decrease the amount of senseless tragedies that occur on our roads everyday. Give Bermuda Limousine a call the next time you’re planning a night out on the town and leave the driving to us.